According to the NHS, one in five of us feel unusually tired at any one moment in time. And many more of us suffer from periodic energy dips throughout the day. Unfortunately, our modern diet, which is high in processed convenience foods, lacks the vitamins, minerals and other essential nutrients necessary to sustain energy and is one of the main causes of fatigue. Indeed, the only way to demonstrably boost energy levels and banish tiredness for good, is by enjoying a wholesome, balanced diet that incorporates a range of natural superfoods known to promote increased levels of energy – superfood energy that in turns provides welcome fuel for life! Our body requires energy for several purposes – to grow, keep active, maintain sufficient body heat and most importantly, to stay alive. We obtain our energy, our fuel for life, from the nutrients found in the food and drink that we consume on a daily basis. Energy is predominantly provided by carbohydrates, protein and fat, although there are some other, often-overlooked nutrients that are just as important in furnishing our body with the right levels of energy. Carbs are our body’s primary source of fuel, supplying energy to the brain, heart and every other system in our body, as well as up to 50% of the energy required for light physical activity and exercise. Those watching their weight often avoid foods that contain fat. However, fats are absolutely crucial for energy production. They also aid in the absorption of fat-soluble vitamins, including vitamins A, D, E and K. Unlike harmful saturated fats, healthy fats (such as omega-3 fatty acids) are positively good for us and in addition to providing energy, can also help to protect us from heart disease and certain types of cancer. Protein is necessary for the healthy growth and repair of our body tissue, internal organs and skin. Our body also converts excess protein into fat for use as energy in lieu of sufficient quantities of carbs or fats. Although vitamins do not directly supply energy, they do assist in the conversion of other nutrients into energy – vitamins B1 and B2 help to convert carbs into energy for example – and they also enable our cells to transfer energy to the brain and the rest of our body. Again, minerals do not produce energy, however, they do facilitate the use of it. Iron, for example, aids in the manufacture of cellular energy and plays an important role in energy metabolism, whilst manganese is necessary for the healthy function of mitochondria (energy-producing cell structures) and aids in the metabolism of carbohydrates and amino acids. Believe it or not, in order to benefit from adequate levels of energy, it’s also important to drink plenty of water. Water regulates body temperature, transports nutrients to cells, aids digestion and without it our body’s cells would not receive energy from other nutrients. Superfood energy – 7 superfoods that boost energy! 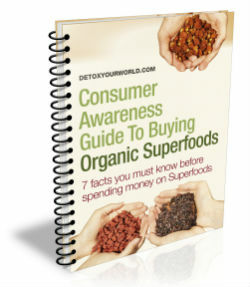 Superfoods are referred to as superfoods for good reason. They’re pure, natural foods that by definition are low in calories and extraordinarily rich in beneficial nutrients, including carbs, protein, vitamins, minerals and healthy fats, such as omega-3 fatty acids. All the nutrients in fact that we now know are essential in maintaining adequate levels of energy throughout the day! Superfood energy is fuel for life. And you can start enjoying more superfood energy today, simply by adding some of the 7 energy-rich superfoods below to your weekly shop. Magnesium – raw cacao is the richest dietary source of magnesium on earth. 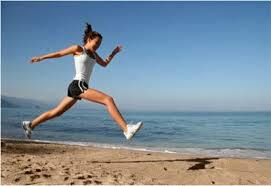 Magnesium is a superb source of energy that optimises oxygen use to increase energy levels and burn calories. It’s estimated that around 7 out of 10 UK women suffer from a lack of magnesium, which results in fatigue, weakness, anxiety, irritability, and, you’ve guessed it, lack of energy! Iron – which aids in the manufacture of cellular energy and plays an important role in energy metabolism. Manganese – which is necessary for healthy energy-producing cell structures known as mitochondria and aids in the metabolism of carbohydrates and amino acids. PEA (phenylethylamine) – PEA (also known as the ‘love drug’) heightens libido and boosts energy levels, alertness and concentration. Theobromine – a mild, natural stimulant that helps to burn fat for energy. Organic cacao powder possesses a tempting chocolate flavour and a powerful aroma, and is an ideal ingredient in homemade raw chocolate, energy bars, smoothies and desserts. Protein – organic hemp protein powder consists of more than 60% Edestin (vegetable protein), the highest percentage of all plant species. Edestin is considered the most edible and readily digestible form of protein there is. Omega-3 fatty acids – healthy fats that your body converts directly into energy. Deliciously creamy and faintly nutty in flavour, organic hemp protein powder can be stirred into your daily smoothie, shake or protein drink. Carbohydrates – your body’s primary source of fuel. On average organic raisins contain a whopping 75 grams of carbs per every 100 grams. Iron – a 100-gram serving of organic raisins contains approximately 10% of your RDA for iron. Organic raisins make a tasty, yet wholesome snack between meals and are an irresistible addition to homemade raw chocolate and energy bars. Medium chain fatty acids – also known as medium chain triglycerides or MCTs for short. Your body is able to metabolise MCTs far more rapidly than long chain fats, enabling them to be quickly burned as energy, rather than stored as unwelcome layers of fat. Coconut oil boasts a wonderfully fragrant aroma and is the perfect alternative to standard cooking oils that are typically high in unhealthy processed fats, such as trans fats. Protein – goji berries are a complete source of protein and amino acids. Vitamin B1 & B2 – which play a crucial role in converting carbohydrates into energy. Organic Goji berries are also considered a powerful adaptogen that can help to reduce stress and cortisol levels, thus allowing your body to burn more fat for energy. Goji berries are a yummy addition to trail mix, breakfast granolas, raw chocolate and energy bars and may also be enjoyed by the handful, straight from the bag. Beta-ecdysterone – a natural anabolic agent which enhances athletic performance, yet without the kind of side affects typically associated with steroids. Germanium – which is thought to increase the supply of oxygen to your body’s cells and thus have a positive influence on energy and stamina. South American tribes have been using Brazilian ginseng to boost their energy levels for centuries. Today it’s a common ingredient in many popular energy drinks and is often recommended for those suffering from Chronic Fatigue Syndrome. Enjoy Brazilian ginseng powder in your choice of smoothies, shakes and protein drinks, or use as an additional ingredient in raw snacks and energy bars. Protein – organic spirulina powder is a complete source of highly digestible protein. It comprises of a staggering 60 percent vegetable protein (more even than red meat), which can be absorbed up to four times faster than animal protein. Essential fatty acids – including a high concentration of gamma-linolenic acid (GLA) and omega 6 fatty acids. In fact the only food that contains more omega 6 fatty acids than spirulina is mother’s milk. Organic spirulina powder is an extremely versatile kitchen ingredient that can be readily stirred into water, green juices, liquid meals and a variety of raw food snacks.